Benjamins Estate Agents are presenting to market this one bedroom ground floor property situated on the outskirts of Nottingham City Centre near to The Park and ideal for any first time buy to let investor looking for a good return or an experienced landlord. It is a short 5 -10 minute walk from Nottingham Trent University, The Nottingham Victoria Centre and the Old Market Square. This well priced property is highly recommended, with viewing's highly advised. Briefly comprises; entrance hall, kitchen / living room, bedroom and bathroom. *The Cigar Factory was one of the developments that pioneered City Living in Nottingham alongside Park West Apartments. 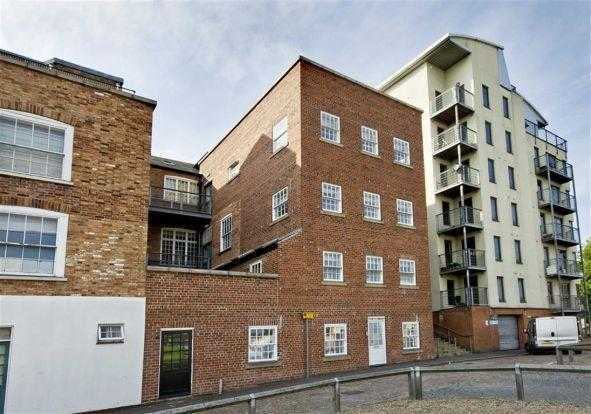 The building remains popular with tenants and owner occupiers alike based on its great location and modern design. Just a few minutes walk from the heart of the City, The Cigar Factory is also well connected to Nottingham's Public Transport Network and is particularly well connected to the Queen's Medical Centre and Nottingham University. Single glazed door to the front and additional storage. Two secondary double glazed windows to the front. Fitted kitchen with a range of wall and base units, comprising of a sink drainer, work surfaces, electric oven and hob, integrated washer dryer, fridge and freezer and two wall mounted radiators. Secondary double glazed window to the front, built in wardrobes, wall mounted radiator, additional storage housing the central heating boiler, spot lights. Heated towel rail, bath with mixer taps with shower attachment, wash hand basin, WC and part tiled walls.